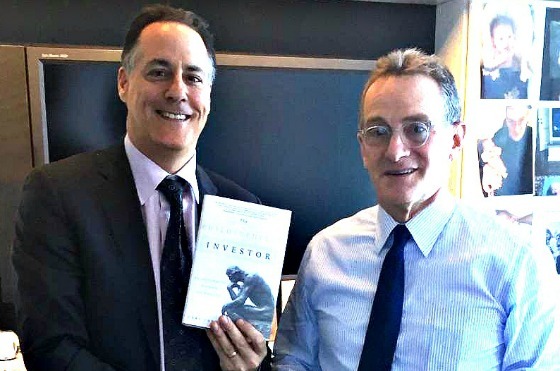 Shortly after publishing my book I was in New York City and did a brief interview with Gregg Greenberg from TheStreet.com which was quite fun and then I had a meeting with investment legend Howard Marks which was such a treat. He was kind enough to write a testimonial for the book and made the time to let me thank him personally. We were talking about the markets and interest rates and I proudly told him about how we’ve elected to have most of our financing be a variable rate versus fixed. He then got up from his desk without saying a word and handed me a framed notice from a bank announcing an interest rate reset on a loan to 21.50% in 1981. That definitely let some air out of my balloon! I do still feel good about our strategy, but I am cognizant of the risks. This is the last of summaries of books written by others for awhile as next week I will return to publishing a series of summaries of my book accompanied by some pretty cool videos. This week’s book is one I read a few years ago but definitely had an impact on me. It’s called The War of Art: Break Through the Blocks and Win your Inner Creative Battles by Steven Pressfield. This is along the same lines as some recent posts that discussed creativity, procrastination, and healthy habits. Here goes. According to Pressfield, the biggest enemy for anyone in the creative world is Resistance. Resistance is elicited by “any act that rejects immediate gratification in favor of long-term growth, health, or integrity…[A]ny act that derives from our higher nature instead of our lower.” This definitely has application in CWS’ investing business. I have found that what we do is generally a get rich slowly business. Many times along the journey there have been times to go for the quick buck at the expense of long-term gains. It’s very important to have a wider lens and higher purpose in mind in order to delay immediate gratification in exchange for much more sustainable and greater long-term rewards. There have been many times when we could quickly flip an investment and make a nice, short-term profit and then be faced with the challenge of placing that capital in another investment versus staying the course and end up doing quite well with less risk as we can generate the returns from one investment decision versus flipping properties, incurring transaction costs, and having to make a number of correct decisions versus one. Howard Marks did bring up a very insightful point along the same lines during the meeting. 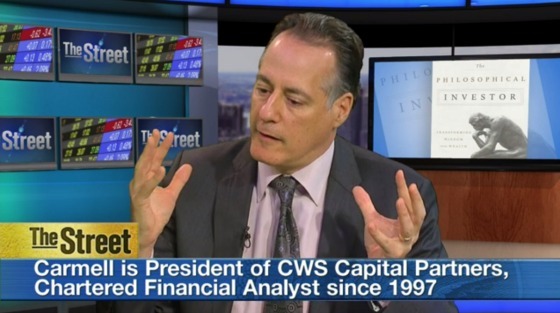 Oaktree Capital, his firm, is one of the best-distressed bond investors in the world. He said that bond investing is a negative art. What he meant was that all bonds are expected to pay off when they’re issued so the real important thing is to make as few mistakes as possible and the winner is the one who makes the least amount of mistakes versus getting the most hits. He thought our business of apartments was similar in the sense that first avoid the mistakes (losing money) and then if you hang around long enough and have enough prudent bets then some of those may turn into triples or home runs. There won’t be many, but the core business is good enough to offer a solid risk/reward and the gravy of the unexpected outlier positive returns can make the business even better without incurring much more risk. What are the Characteristics of Resistance? Invisible – The only sense we have of its presence is through it being felt as a repelling, negative force intended to distract and push us away. We can’t hear it, taste it, touch it, or smell it, but we can feel it. We get that unsettled feeling that wants to distract us and push us away from what we know we need to do. Internal – It arises from within and is the enemy from within. Don’t ever look outside for sources of Resistance. People say I will begin this or do that when I start feeling better or when I’m more ready. According to Pressfield, this is hogwash. There are never perfect conditions to begin tackling what we have to do. We can always cite some sub-optimal condition to delay starting the project. 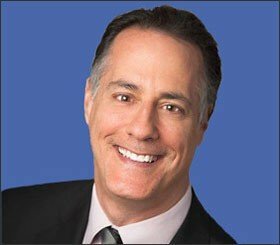 The professional, according to Pressfield, shuts up and gets to work. He goes on to use an athlete as an example of this ridiculous type of thinking. Insidious – It will do or say anything to keep you from your work. Procrastination is the most common manifestation of Resistance because it can be rationalized and our intellect is one of the greatest impediments to overcoming Resistance. It will use whatever methods necessary to get in the way of progress. It will come to know you like know one else in order to infiltrate you in the subtlest of ways to stymie progress. Implacable – It can’t be reasoned with and only understands power. You have to be willing to muster up all of your forces to destroy it. Treat it like a bully. It will only stop when confronted by force because it is so rare anyone stands up to it. You have to fight fire with fire. Impersonal – It’s a force of nature that is not out to get you personally. It’s indifferent and acts objectively. It only cares about doing its job and does not exist to go after you personally. It is there to stop human beings from progressing and evolving and since you are a human being you are there to be stopped. Don’t take it personally. Infallible – It will point to that calling or action it most wants to stop. This can be a powerful internal compass as it can point us in the direction that we must go in order to accomplish that which must be undertaken by us if we are to stretch and grow. So in a perverse way one can view Resistance as a friend in terms of it helping us find clarity when confusion often reigns. Universal – Everyone experiences it. There is not one person who has not experienced this. All it takes is stepping out of our comfort zone ever so slightly and you’ve felt it. It is part of the human condition. Never Sleeps – Fear doesn’t go away. The battle must be fought anew every day. “The amateur believes he must first overcome his fear; then he can do his work. The professional knows that fear can never be overcome. He knows there is no such thing as a fearless warrior or a dread-free artist.” Every moment of every day we are faced with the real prospect of contending with Resistance if we are seeking to grow and evolve. The enemy never sleeps so we must be vigilant in our defense of our souls. Fueled by Fear – All of its strength and power comes from us by feeding it with our fears. Being paralyzed by fear shows you what you have to do. Only Opposes in One Direction – If you dare go from lower to higher it will kick in; not in reverse. It’s akin to swimming upstream. It’s not easy and there are so many resisting forces so it requires a powerful guiding purpose to keep one moving in that direction. Resistance doesn’t manifest itself when we’re letting our animal nature rule, however. Most Powerful at the Finish Line – Danger is greatest when the finish line is near. It panics and does everything it can to overcome it’s defeat. It’s akin to the line in Burning Down the House by The Talking Heads where David Byrne sings, “Watch out you might get what you’re after.” We often times deeply fear that we might attain what we truly want or be the person we say we want to be and then have to hold ourselves to those standards. Recruits Allies – As the artist begins to overcome Resistance others sense the change and begin to do things to aid in Resistance’s sabotage. The artist must be ruthless. People in our lives begin to view our changes negatively and want us the way we were and subtly begin to get in the way of what we are trying to accomplish. We must make sure we do not lose faith and strength and try to appease them because they are unwittingly aiding and abetting the enemy. Have you ever overcome resistance? Was it throughout a creative process, business endeavors or within your personal life? What are your words of wisdom?